You know that a blog is good for your wedding business – it helps your Google rankings and allows you to showcase your talent and personality so that brides want to book you for their wedding. But to get those results you do need to do it well. 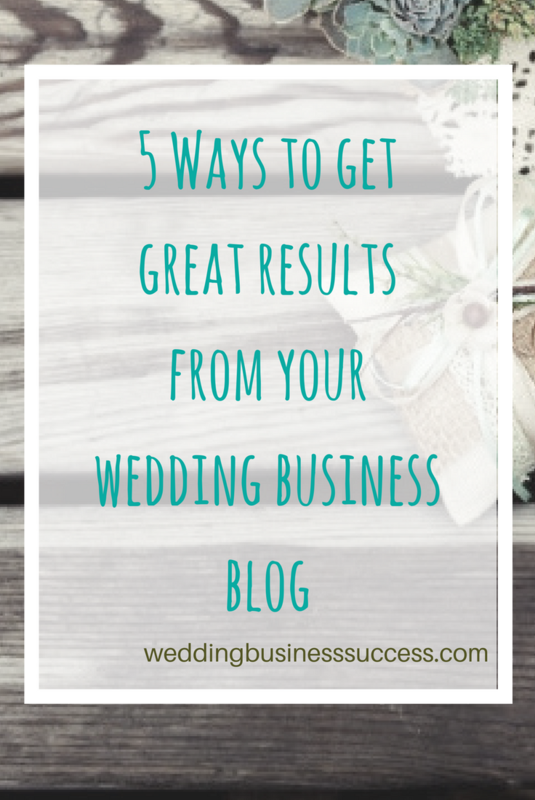 So here are 5 top tips to help you get great results from your blog. If you want to use your blog to help your Google rankings you really need to have it as part of your website and not on a separate blogging platform like Blogger or Tumblr. If your website is based on WordPress, then there’s no problem – you’ll have the blog capability right there. And lots of other website builders like Squarespace also have a blog feature. If your website doesn’t have a blog then it’s possible to add wordpress as a separate area of your site. So many business owners struggle to know what to write about. For wedding businesses, the easiest place to start is by blogging about the weddings you’ve worked on. Brides love to be inspired by real weddings so unless you are completely new to the industry you already have some great material to work with. 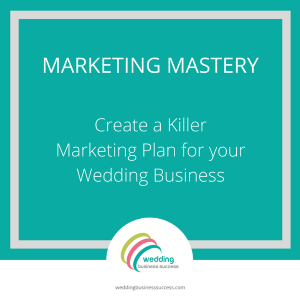 You do want a mix of different articles, so as well as real weddings you can include advice articles, how to articles and behind the scenes articles. Think about the type of questions your customers ask and work that into a blog post. So if you make cakes you might write something around options for gluten free wedding cakes. A florist could showcase 5 different bouquet ideas for an autumn wedding. Aim to keep your blog focussed around your kind of business. It’s OK to put in a general wedding planning type articles from time to time but you want to use your blog to showcase your skills. You can use a more informal style when writing for your blog – write as if you are chatting to your favourite client. Remember to include some lovely photos, but photographers you do need to write some words as well! If there’s one thing you really need to get right when blogging it’s the article title. It’s important for attracting visitors. It’s the thing they will see on social media or in the Google search results. It needs to make them want to click and read on. And it’s important for Google too. Search engines generally use the article title as the key signpost of the article content. Now your visitors don’t care about Hannah or Tom. And the only people searching for it on Google will be Hannah and Tom. This is where you can learn from the big wedding blogs – you’ll see that their posts have very descriptive titles. You’ll see it’s packed with descriptive keywords – laidback, glam, chic, rustic. It also mentions the venue. 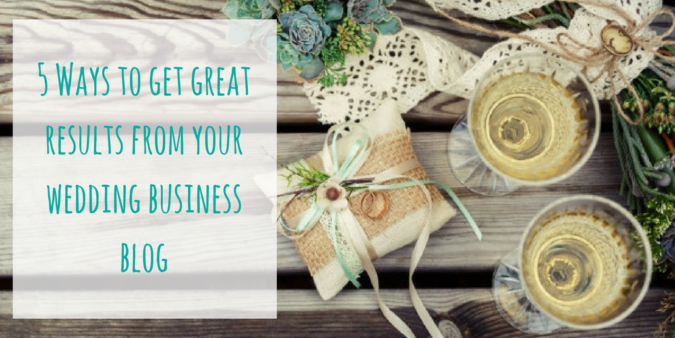 And that’s a great little tip because putting the venue in there can really get you noticed by brides who have booked or are thinking of booking that venue. Of course, it’s one thing to write your blog article, but you also need to get people to read it. And there aren’t simply going to find it – you have to actively promote it. At the very least you need to share your blog article across your social media. But you can also use your blog to make connections and grow your influence within the industry. This is another little trick you can take from the big blogs. Look at any real wedding feature and at the end you’ll see a list of credits with links to the websites of all the suppliers. Of course you want to write your article to mainly showcase your work, but it’s very little effort to include some other details and add a credit to that person. Then email the people you’ve credited to let them know about the article – and ask them to share it with their followers. Most will be happy to do so and you’ve just reached a whole new audience. We’re all pushed for time so make sure the time you invest in your blog is well spent. It’s much better to do a small number of well thought out articles that you promote properly than to cobble together something every week that you simply publish and forget about. You don’t need to blog every day. In fact you don’t need to blog every week. One blog post a month is fine. If you can blog more often, that’s great – you will get results quicker. But the important thing is to do it. A few good tips in there, thank you! I try and blog once a month but ideally would like to do two and schedule them. They always take longer than the time I planned but I would rather they be great than ‘cobbled’ together like you say. Yes – mine always take longer than I hoped! One tip (which I’m terrible at doing myself) is to have a “spare” article ready to publish if you just can’t get an article written as planned (illness, last minute booking etc).